Rick Porcello's future in Boston remains up in the air as the Red Sox prepare for Opening Day. The right-hander is scheduled to hit free agency after the 2019 campaign along with teammate Xander Bogaerts. Fellow Sox starter Chris Sale would have been a free agent after the season if he hadn't signed a six-year, $160 million contract last week. 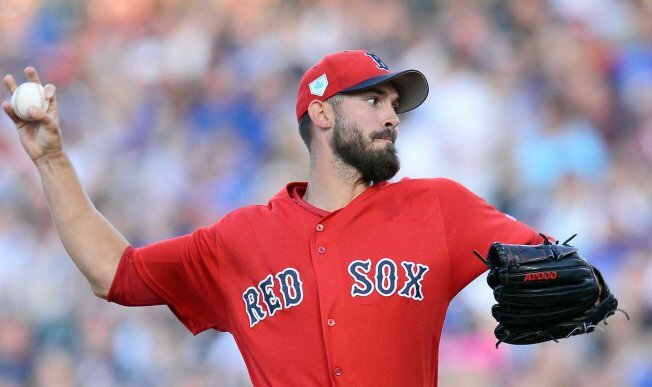 Porcello tried to join Sale in getting a deal done before Opening Day, but to no avail. The 30-year-old explained to WEEI's Rob Bradford how his discussions went with the Red Sox brass. "Myself and my agent [Jim Murray] -- my agent was handling it -- he approached them and expressed my desire to continue to want to play here," Porcello said. "We expressed our willingness to take a discount to make that work. Conceptionally there were talks about it but as the spring went on economically they didn't feel like it was going to fit. It pretty much kind of fizzled out and there were really no further talks beyond that. That's pretty much it." No offer was made to Porcello, which likely means no offer will be made at least until after 2019. Red Sox President of Baseball Operations Dave Dombrowski said Boston won't engage in extension talks once the season begins "unless something unexpected happens." If Dombrowski has a change of heart, there's still a chance Porcello and the Red Sox can work something out during the season. Porcello said because of how badly he wants to stay in Boston, he's "willing and open to continue to talk" and doesn't believe it would be a distraction for him.